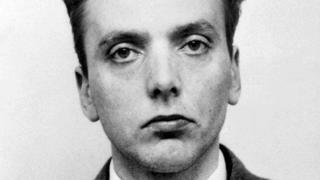 The brother of Ian Brady’s fourth victim has issued a plea for the contents of two briefcases left behind after the Moors Murderer’s death to be revealed. Alan Bennett, whose brother Keith was never found, said Brady’s solicitor has the combination-locked cases containing personal papers. Mr Bennett alleges Robin Makin has refused his “personal plea” and police requests to reveal the documents. Mr Makin has declined to comment. 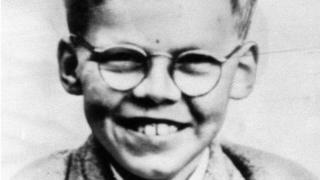 Keith Bennett was 12 when he was abducted on his way to his grandmother’s house in Manchester on 16 June 1964. His brother believes the case may reveal clues about where Brady and lover Myra Hindley buried Keith on Saddleworth Moor. Mr Bennett said he “needed to know one way or the other” if there was anything that could help the family’s search for answers. He said Mr Makin, the executor of Brady’s will, had “met with members of the Greater Manchester Police cold case team” but did not let them access the cases. Mr Bennett alleged the lawyer then “ignored pleas from the solicitor acting on my behalf and, lately, a personal plea from myself”. Keith Bennett’s mother Winnie Johnson died in 2012 aged 78, after a long campaign to find her son and give him a Christian burial. After Brady’s death in 2017, Greater Manchester Police applied for a court order to examine the contents, which was denied on the grounds that there was no longer any prospect of an investigation leading to a prosecution. Mr Bennett’s solicitor John Ainley said he had since written to Mr Makin twice to request access to the cases, but had received no reply. Martin Bottomley, head of GMP’s cold case unit, said officers would continue to “pursue all investigative lines of enquiry” to find Keith’s body. Brady, who murdered five children between 1963 and 1965 with Hindley, died in May 2017 at the secure psychiatric unit at Ashworth Hospital in Merseyside.